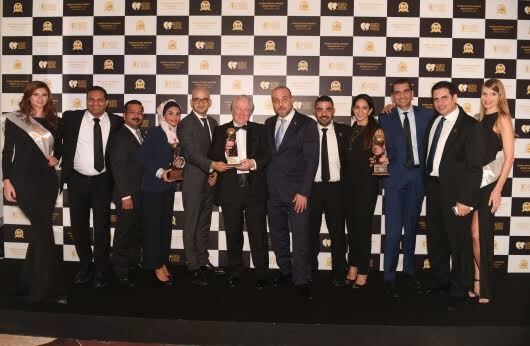 Abu Dhabi, United Arab Emirates: The leading tour operator of the United Arab Emirates, Nirvana Travel and Tourism has scooped a handful of awards at the prestigious World Travel Awards 2016 including two of the biggest accolades of the night – Middle East’s Leading Tour Operator 2016 & United Arab Emirates’ Leading Business Travel Agency 2016. In addition, Nirvana Travel and Tourism took home the awards for – United Arab Emirates’ Leading Destination Management Company 2016 , Abu Dhabi’s Leading Business Travel Agency 2016 . and United Arab Emirates’s Leading Tour Operator 2016 , making the company’s totaltally five. Nirvana Travel and Tourism was the recipient of the coveted United Arab Emirates’ Leading Tour Operator in the year 2015. The first-class tour operator has maintained its spot at the top by ensuring services and a customer experience that exercises a level of skill, care and diligence. Currently operating from over 30 locations within the UAE, Nirvana have offices opened. In KSA, China and Spain, and in 2016, the company is working on opening offices in UK, USA, and Australia plans to expand to other countries such as Germany, France, the United Kingdom, the United States of America and Saudi Arabia towards the end of 2016. “There are more and more travellers and families in the Middle East who seek multi-layered wholesome holidays and Nirvana Travel and Tourism tailor packages to suit the needs of every guest. We specialise in knowing our market and more importantly our customers and take great pleasure in providing the dreams of so many,” added Mr. Al Ali. The World Travel Awards merits and celebrates high calibre organisations and personalities across the travel and tourism sector on a global platform. Our offices can be found in over 30 different locations throughout Abu Dhabi, Al Ain, Dubai and Ras Al Khaimah. We have recently extended and expanded our reach by opening and operating offices in China, Spain and Saudi Arabia. Within the few next year’s we are expecting to serve other locations such as Germany, France, The United Kingdom, and The United States of America. However, we aim to spread our wings all over the globe and reach even more international clientele within the next 3 years.